Atlantis is an idyllic paradise where citizens are meant to live in alignment with nature and reach their highest potential. For thousands of years, they have powered their cities with a Crystal Grid fed by psychic mindlight. But the Grid has been infiltrated by parasitic shadows that feed off the negative emotions of humans – an epidemic called “the madness.” D’Vinid, a dejected musician, is consumed by his personal problems. But when he meets Brigitte, who has arrived in Atlantis from the dreamclans, a chain of events is set in motion, showing D’Vinid he has an important role to play. He is among those born with a gene, that can unlock the mystical powers once believed to be the birthright of all humans. Soon he is faced with his own awakening, and the shocking realization that Atlantis could be experiencing the end of its days. 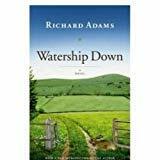 Fantastic writing, great characters and a good story. Fine storytelling, Miss Powers! Very imaginative story about the lost city of Atlantis. I found myself deeply engrossed in the story wondering what was going to happen next. I'd often steal away more time to jump back into the book. The tale was engaging and the characters development stellar. A work of art. One of the best world building books I've seen in a long time. One of the best renditions of Atlantis I've ever seen. It should be a movie. Such cool characters!